24 chairs, arbor, arbor accessories, arbor flowers, signing table, 2 signing chairs. Celebrant including legal documents. Face to face meeting & a personalised ceremony. Bouquet and button hole delivered to venue in your personal colours and style. 2 x hours of photography covering ceremony, family, bridal party & couple. Images - over 120 edited high resolution images are included. Sit down and go over your day in our office. There are no hidden fees, we deliver, set up and pack down all in the above costing. 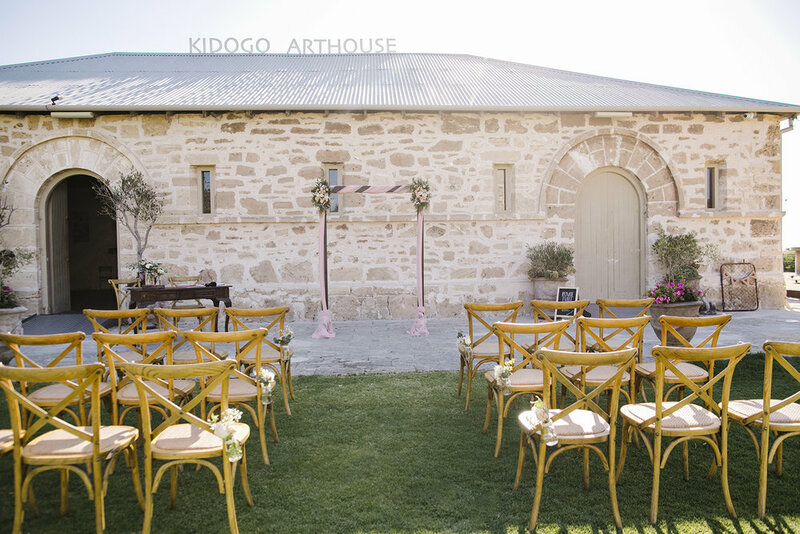 We can help you choose a great ceremony location in and around Perth as well!